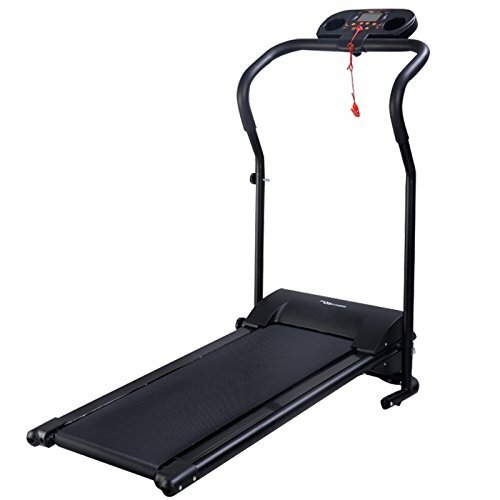 This Goplus Folding Treadmill is ideal for everyday running workout fitness. It features easy-fold design for easy storage and heavy-duty steel frame. You could take exercises at your home without the hassle of going to the Gym. Keep running and burn calories to keep fit and enjoy a healthy life. Welcome! 1. Simple Assembly of the portable treadmill is required. 2. Please refer to the included instruction of the treadmill carefully before using or folding. 3. It is designed for household only. The Treadmill Size is smaller than the general size in gymnasium.